High impact, durable & UV protected panels. 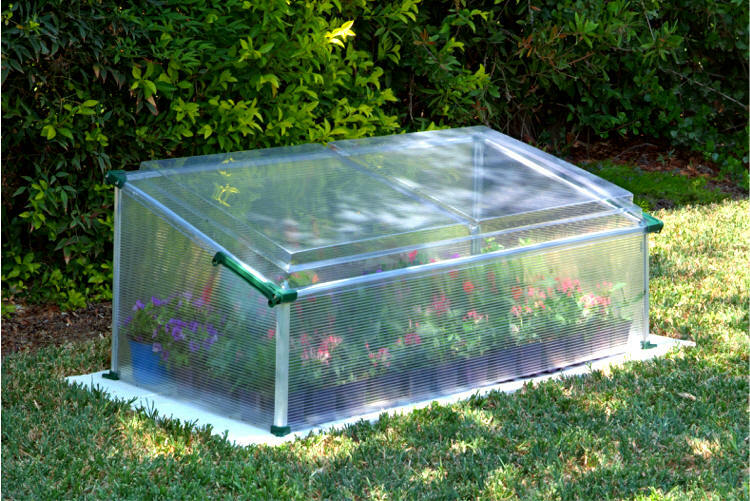 Sloping lid allows maximum sunlight and rain runoff. Hinged door for easy access & ventilation. Can be anchored to the ground in 4 designated corners. Over 5 square feet of growing space. 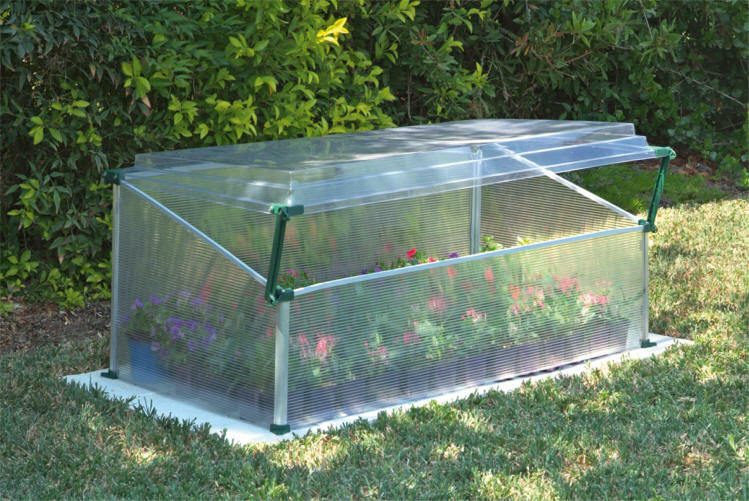 Corrosion resistant aluminum and rigid polypropylene frame assembles quickly and easily. 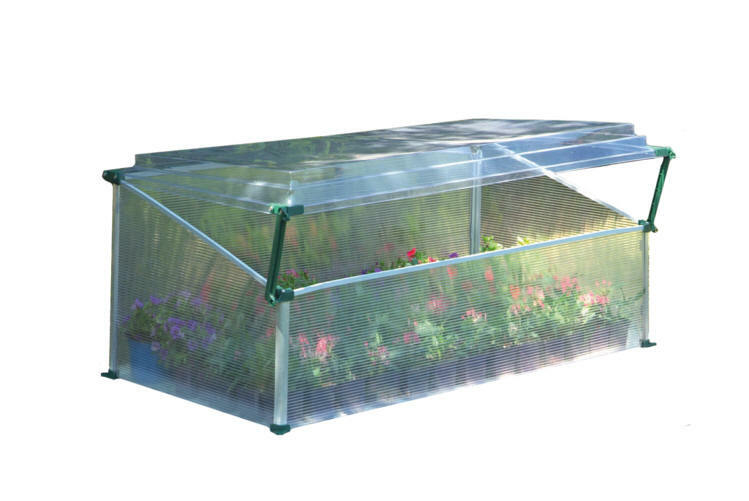 Clear polycarbonate roof panels allow maximum light transmission. Use the supplied hold-down spikes or secure to your wood or concrete foundation base through corner anchor holes. 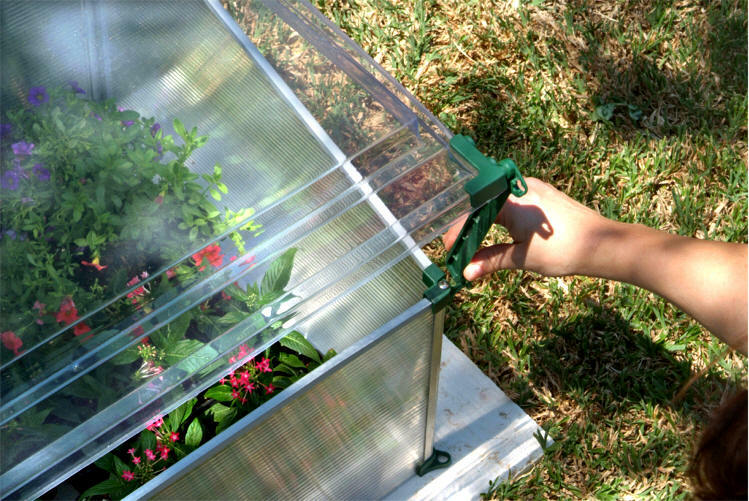 Adjustable, roof doors provide excellent ventilation and easy access.